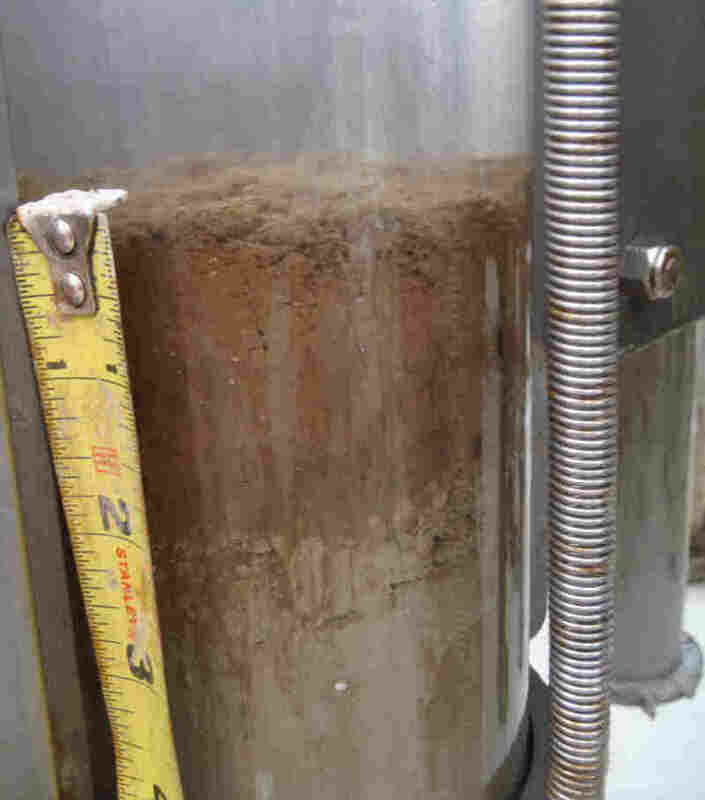 Scientists Find Thick Layer Of Oil On Seafloor Scientists on a boat in the Gulf of Mexico are finding a substantial layer of oily sediment stretching for dozens of miles in all directions. Their discovery suggests that a lot of oil from the Deepwater Horizon didn't simply evaporate or dissipate into the water -- it settled to the seafloor. Scientists on a research vessel in the Gulf of Mexico are finding a substantial layer of oily sediment stretching for dozens of miles in all directions. Their discovery suggests that a lot of oil from the Deepwater Horizon didn't simply evaporate or dissipate into the water -- it has settled to the seafloor. Joye describes seeing layers of oily material -- in some places more than 2 inches thick -- covering the bottom of the seafloor. "The organisms that break down oil excrete mucus -- copious amounts of mucus," Joye says. "So it's kind of like a slime highway from the surface to the bottom. Because eventually the slime gets heavy and it sinks." The organisms that break down oil excrete mucus — copious amounts of mucus. So it's kind of like a slime highway from the surface to the bottom. Because eventually the slime gets heavy and it sinks. So far, the research vessel has traveled in a large "X" across the Gulf within a few dozen miles of the well. Scientists have taken eight sets of samples, and Joye says they all contain this layer. It's thin in some places, inches thick in others. Eventually, scientists hope to collect enough samples to figure out how much oil is now settling to the seafloor. "It's starting to sound like a tremendous amount of oil. And we haven't even sampled close to the wellhead yet," she says. Last month, another research group also reported finding oil on the seafloor. 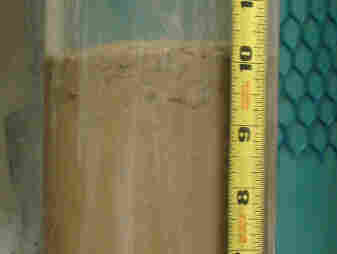 Researchers at the University of South Florida say they saw oil particles sprinkled on top of the mud. These new findings strongly suggest that it didn't just drizzle oil -- in some places it was a blizzard. David Hollander, from the University of South Florida, says the government's original attempt to figure out what happened to the oil toted up how much washed ashore, how much evaporated and how much might have stayed under the waves. But it didn't consider that oil could also end up on the seafloor. "And so now the bottom really is turning out to be an important sink for the oil," Hollander says. But the ecological impacts of oil on the seafloor depend on the depth of the ocean where it lies. Joye's findings so far have found oil in depths ranging from 300 to 4,000 feet. Shallower waters, in particular, are potentially important not just for life on the bottom but for the entire marine ecosystem. "A lot of fish go down to the bottom and eat and then come back up," Hollander says. "And if all their food sources are derived from the bottom, then indeed you could have this impact." Figuring all that out though, will probably take many years.